This blog post is part of a paid Megan Media and ABC blogging program. The opinions and ideas expressed here are my own. Growing up, I always longed for the days of getting married and starting a family. I had the typical teenage girl #AmericanHousewife dreams of being super mom. I would get married around 30, I would be married to a total hottie (obvi), and we would live in the perfect house in the suburbs with our perfect kids and our perfect dog and I would make the world’s best chocolate chip cookies. Fast forward 15+ years, and I am now a thirtysomething year-old housewife who really only nailed the marrying a hottie part of that teenage dream. Waiting to get married until I was 30? Well, let’s see… on my 30th Birthday I was 9 months pregnant with our 3rd and 4th children (TWINS) so that was a big fat NO. 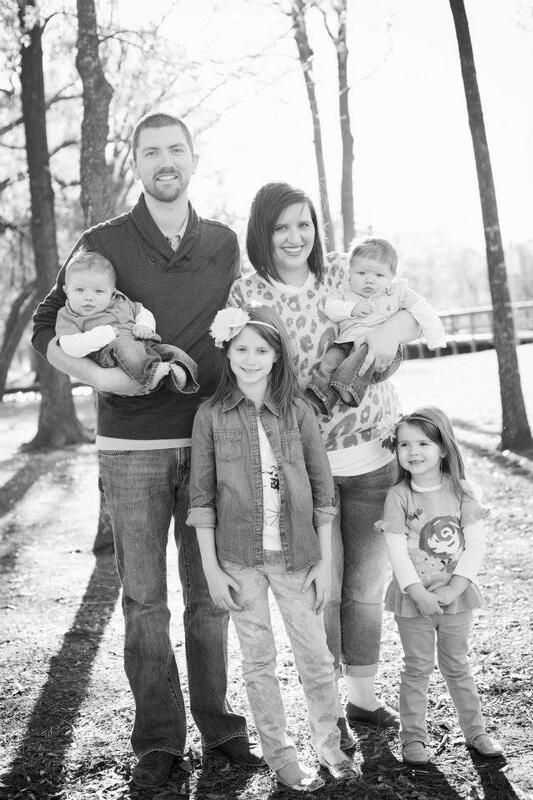 We do live in the suburbs, in a run down old house that we have zero money to put into because hello: FOUR KIDS. We have two dogs that are about as spastic as dogs can get and the only thing I know how to bake is my concealer, so I leave the cookies to Nestle Tollhouse. I would like to say I held onto my #AmericanHousewife dreams for a while after I got married, and I think they lasted all the way into my first week of motherhood, right before I had my first epic mom fail. The first fail is probably the hardest, but also the most important because it knocks you off your parenting pedestal and reminds you there is no such thing as the perfect parent. TV shows and Pinterest can make you forget that sometimes, and so a good ol’ mom fail is needed to get you back in touch with reality. I used to be ashamed of my #momfails and thought I was the only one screwing things up. In the world of social media and “highlight reels,” it’s easy to get caught up in feeling that way. But I quickly learned that there was no shame in my mommin’ game and found a group of hot mess mamas to surround myself with. The ultimate hot mess mama that I so wish I could add to my mamma posse is Katie Otto from “American Housewife,” the new fall comedy premiering Tuesday, October 11 at 8:30|7:30c on ABC. 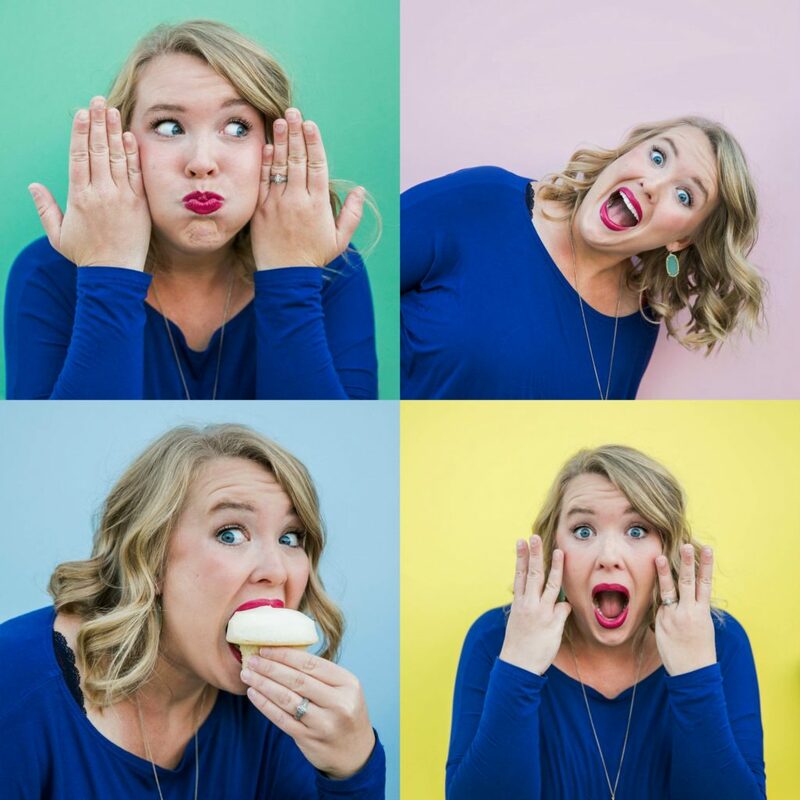 The first time I saw the trailer for the show I felt an immediate connection with her… She is confident and unapologetic and all the things I wish we as mamas would remember to be. 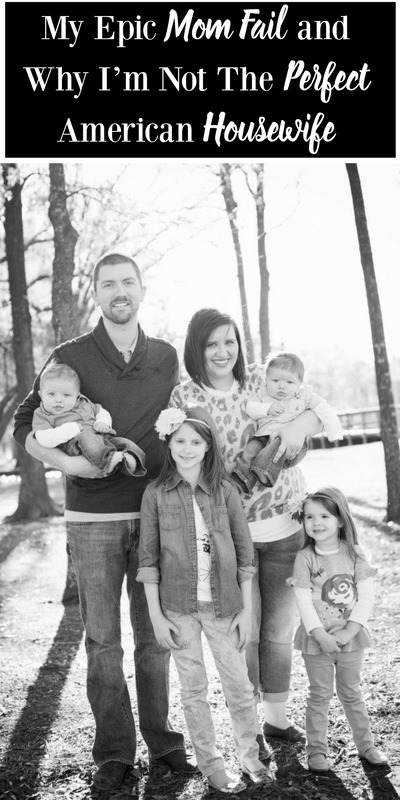 Nowadays I basically have an epic mom fail on a daily because, well, FOUR KIDS. You may think that’s no excuse, and if you think that then clearly you don’t have FOUR KIDS! My most recent epic mom fail had to do with the flippin’ Tooth Fairy, and as I type this I can hear the collective “Amens!” from all my mamas who totally feel me and know where this story is headed. 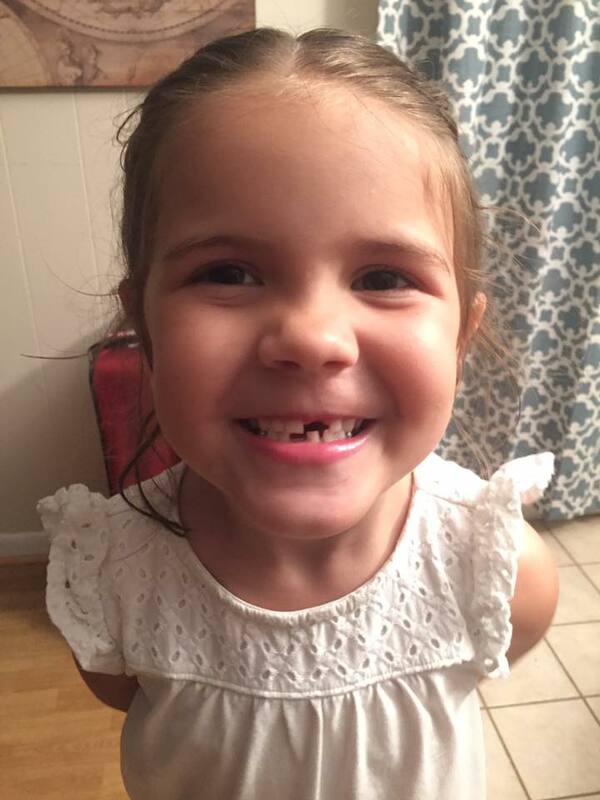 My middle child (angel that she is) lost her tooth at school. She was so excited to finally lose her tooth at school and to get the little tooth necklace so she could proudly display her bloody tooth —to the envy of all her first grade friends. I don’t get the appeal of the tooth necklace, but apparently it’s all the rage when you are seven. And that’s when that sly little fox looks me dead in the eyes and says, “No, Mommy, I didn’t hide my tooth under my pillow, I hid it over here,” and then proceeds to show me the most ridiculous hiding spot known to man. My husband and I quickly exchanged glances; we knew what we had to do….LIE SOME MORE. So as she was showing me her hiding spot, my husband slipped the money into one of her doll toys, and we decided that the Tooth Fairy must be “playing a game” with her. And since she hid her tooth from the Tooth Fairy, the Tooth Fairy was hiding the money from her. The lie worked, she found her money, and I crossed off my way-too-early-for-a-Tuesday mom fail. As you can see, Katie Otto is my Spirit Animal. FOR REAL. I knew it from the second she threw that God awful green smoothie in the trash can, and I cannot WAIT to see what epic things are in store for her and her family this fall on ABC. Hell, I wouldn’t be surprised if there’s a Tooth Fairy scene in there somewhere. I’d love to see how my spirit animal would take care of that one! Want to find out what kind of housewife you are? Take the personality quiz below and answer honestly!! 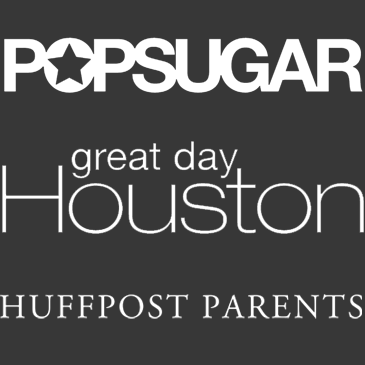 And speaking of things that are epic, American Housewife has some amazing contests coming up with some EPIC prizes. 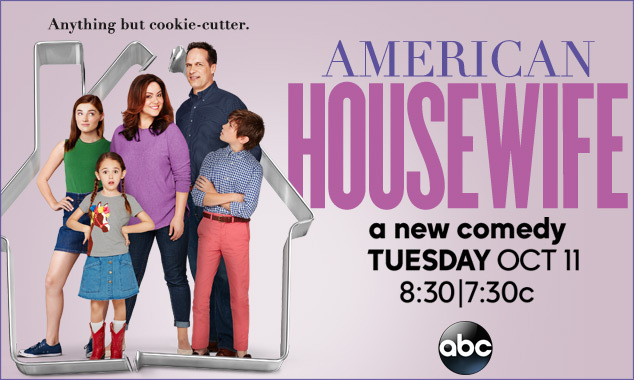 First up, the American Housewife Instagram Sweeps. All you awesome mamas can enter by uploading an “Epic Mom Fail” photo to Instagram, and telling us all about your epic fail using the hashtag #AmericanHousewife in the caption for a chance to win a $500 Amazon gift card. All epic fails must be shared by 10/14/16. Then on October 11th, join us and @SocialMoms for an American Housewife Twitter Party, from 4-5PM PST/7-8 PM EST. We will be giving away a $500 Grand Prize and tons of other great prizes for those who join using the hashtags #AmericanHousewife AND #chat! Official Rules HERE. I can’t wait for October 11th and the premiere. Who will be tuning in to watch with me? The Tooth Fairy is the gateway to Mom Fail. My oldest lost his first tooth eating breakfast on vacation … and it was promptly cleared away by the waiter. Tooth Fairy shenanigans insued. Then the second one? I lost it. Then the kids start with the letters to the tooth fairy and asking her name, and comparing notes with each other YEARS APART. GAH. My sister’s daughter had to write a note to the Tooth Fairy, after she failed to show up for a week! She politely reminded the Tooth Fairy, she had lost a tooth. She understood she was busy, but could she please not forget her. So relatable! You never quite end up where you thought you’d be. Being a parent definitely isn’t easy and failure is inevitable but we move on and push through!